Southern Illinois University Edwardsville has once again captured the attention of the St. Louis Regional Chamber for its innovativeness and excellence in programming and special units. 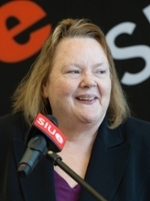 The University was nominated for the Chamber’s Arcus Awards in the following three areas: the SIUE East St. Louis Center (ESLC) for educational attainment; the SIUE Eugene B. Redmond Learning Center for achievement in inclusion and talent attraction; and the SIUE Metro East Start-Up Challenge for entrepreneurship and innovation. The Arcus Awards, sponsored by the St. Louis Regional Chamber, are presented to companies, organizations and institutions that are operating to make the St. Louis region a better place to live, work and invest. Winners will be announced at an awards ceremony at 7 p.m. Thursday, Feb. 25 at the Hyatt Regency St. Louis at the Arch. SIUE, along with all the other nominees, are also vying for a new Arcus Award: The Arcus People’s Choice Award. The community will have a voice in selecting award winners in 10 categories. Vote your business of choice by clicking here. Voting lasts until noon, Wednesday, Feb. 24. The inaugural Arcus People’s Choice Award winner will be revealed at the conclusion of the Feb. 25 event. “Being nominated is affirming of the great work we do here,” said Jesse Dixon, ESLC executive director. “But I believe that the Center is worthy of winning awards every year because of the transformative work we do for families in East St. Louis. With a focus on empowering people and strengthening communities, the SIUE East St. Louis Center is dedicated to improving the lives of families and individuals—from pre-school through adult—in the Metro East region. The Center offers programs that give the community renewed hope and an opportunity to reach educational, career and life goals. It does so by providing comprehensive programs, services and training in the areas of education, health, social services and the arts. “The Eugene B. Redmond Learning Center was a passion project that was widely supported and needed in a region that has such a rich history in the black arts movement,” said Regina McBride, PhD, dean of Library Information Services (LIS). The Center was made possible by many generous donors, including the late Dr. Maya Angelou, Nikki Giovanni, Toni Morrison and Tavis Smiley. “The Center exposes the public to some of the world’s most renowned artists, not as we’re used to seeing them, performing their craft but in the intimate moments of friendship, collaboration, celebration and artistic creation,” McBride said. “It was designed to foster creativity, encourage scholarship, promote diversity and provide the region access to multicultural poetry and historically significant information about the Black Arts movement. 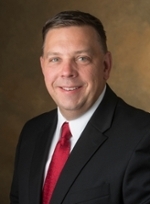 The SIUE Metro East Start-Up Challenge has been effective in re-energizing the entrepreneurial culture in Southwestern Illinois, said John C. Navin, PhD, dean of the SIUE School of Business. “Since its inception, the Challenge has spurred new entrepreneurial support activities in a number of communities including Highland, Belleville, Granite City, Glen Carbon and Edwardsville,” Navin continued. Other fields in which Arcus Awards will be given for achievement include: biosciences, financial services, health, multimodal logistics and public policy. This is the third year that the St. Louis Regional Chamber has sponsored the awards, which are being presented by RubinBrown LLP. 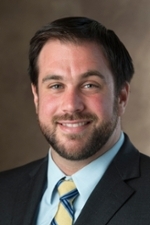 Jesse Dixon, SIUE East St. Louis Center executive director.